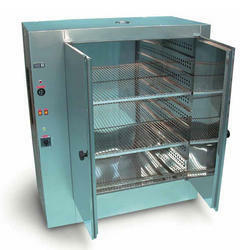 Being a client-centric organization, we are engaged in offering an unmatched range of Laboratory Oven to the clients. The offered product range consists of Hot Air Oven, Batch Oven, Conveyor Ovens, Pallet Flow Oven, Infrared Heating Oven and Vacuum Oven. The entire range of products offered by us is precisely-designed and developed in strict compliance with the global quality norms & guidelines. A team of quality experts further examine this range on various parameters of quality. 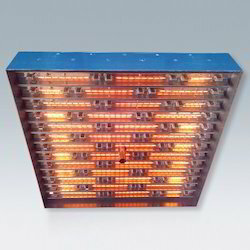 Being a client-centric organization, we are engaged in offering an unmatched range of Infrared Heating Oven to the clients. These products are manufactured by making use of optimum quality raw material that are obtained from the certified vendors of the market. 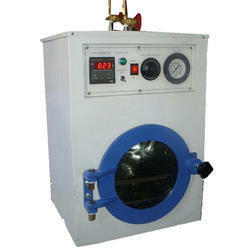 Furthermore, customers can avail this range according to their demands and choice. Enriched by the vast experience, we are engaged in offering a wide range of Hot Air Oven to the clients. The temperature this range is controlled accurately by digital PID temp. controller to the pre set chamber temperature and forced air circulation by fan maintains the chamber temp. uniform. Stainless steel shelves can be provided as needed. 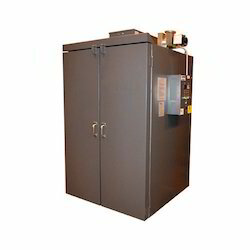 From the day of commencement, we are engaged in catering to the variegated requirements of the customers by bringing forth a comprehensive Vacuum Oven. 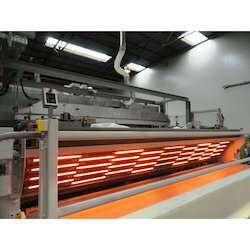 The offered range of vacuum oven is precisely manufactured using high-grade raw material and essential components that are required for the production process. Our offered range is further available in different specifications as per the demands and requirements of the patrons. 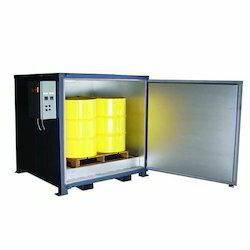 Enriched by the vast experience, we are engaged in offering a wide range of Pallet Flow Ovento the clients. The offered range is manufactured with full dedication by making use of premium quality raw material and cutting-edge tools & technology. These products are made in tandem with the international quality norms & standard at our capacious manufacturing unit. With sincerity and hard work of our professionals, we have carved a distinct niche for ourselves in this domain by offering Conveyor Ovens. Our offered product range is manufactured by making use of sophisticated tools & technology and premium quality raw material that are obtained from the most trusted vendors of the market. 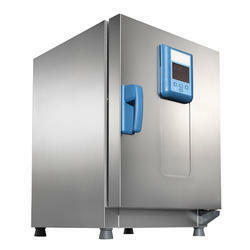 Leveraging on our skilled professionals, we are engaged in offering a competitive range of Batch Oven. Precisely manufactures, these products are made using excellent quality raw material and sophisticated tools & technology at our state-of-the-art infrastructure premises. Furthermore, clients can avail this range in accordance with their demands and specifications. 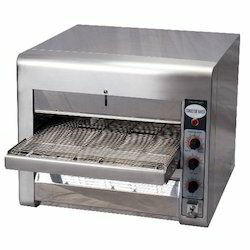 We are the Leading Manufacturer, Supplier and Exporter of Batch Ovens in Chennai, Tamilnadu, India. 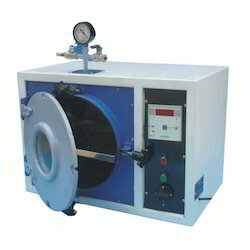 We are the Leading Manufacturer,supplier and Exporter of Double Walled Vacuum Oven in Chennai, Tamilnadu, India. Backed by cutting edge process technology, these vacuum ovens are widely preferred in the domestic as well as overseas markets. 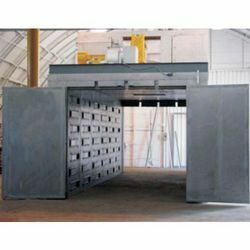 These ovens are available with double walled chambers constructed out of quality approved metals. 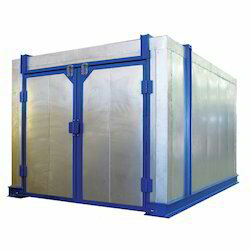 They are further insulated with special grade glass wool to reduce the radiation heat loss to the minimum. Judicial mix of men and machinery allows us to offer these vacuum ovens according to the demands of our esteemed clients. 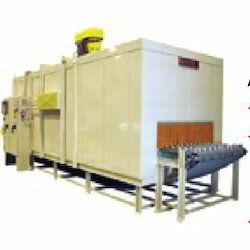 We are the Leading Manufacturer, Supplier and Exporter of Hot Air Oven in Chennai, Tamilnadu, India. 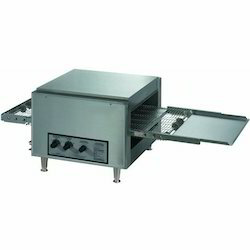 We are Leading Manufacturer, Supplier and Exporter of Conveyor Ovens in Chennai, Tamilnadu, India. to a set temperature controlled by digital temp. controller. The structure is rigidly made with heavy duty structural material. The door is sealed with silicon rubber gasket minimizes heat loss. Dampers control the exhaust and fresh incoming fresh air adjusted manually. Safety interlocks are provided for blower and heater for longer life. Widely used in industries for Pre-heating, Drying, Alloy steel preparation prior to weld. 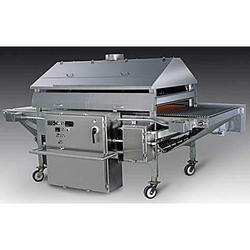 Being a client-centric organization, we are engaged in offering a wide range of Conveyorized Oven. Our skilled & semi-skilled labors manufacture these products by making use of excellent quality raw material and other essential components in the production process. Clients can further utilize this range as per their demands and preferences. 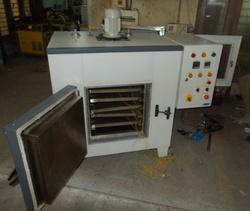 MODEL Mostly custom built ovens as per application. MATERIAL- Outer Chamber Mild steel with HR Aluminum paint. Power Source AC, 3 phase, 440V, 50 Hz. We offer Heavy Duty Industrial Oven to our client. We offer Conveyorized Oven to our client. 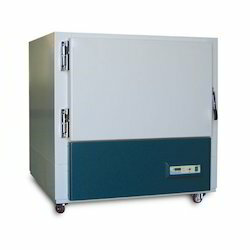 Looking for Laboratory Oven ?